Our inspiration for our Puppies & Polka Dots Nursery came from our first baby - AKA our dog! Plus we wanted to be different. I knew boy or girl I wanted Chocolate furniture (chocolate and blue - Boy or chocolate and pink - Girl). Next came choosing our bedding, which is when my creativity and eye for detail took over. The ideas just flowed from there. My husband and I, along with a helping hand from my Dad, did all the work ourselves. My husband is a tile contractor, I design (for fun) and my father is a General Contractor. I hand painted all of the polka dots. We broke up the wainscot with wood that we wrapped in fabric. The ceiling is the only thing we didn't do ourselves. We had a sky painted there since that is where the baby will be looking a lot of the time. 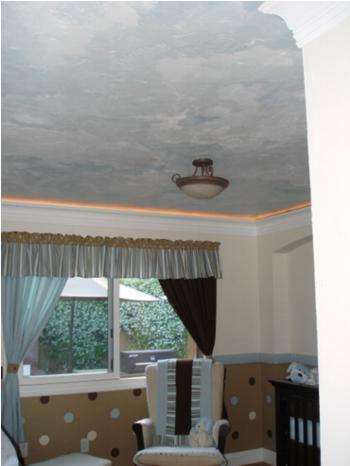 We also used dropped crown molding with lighting which is something that we just love and it is throughout our home. 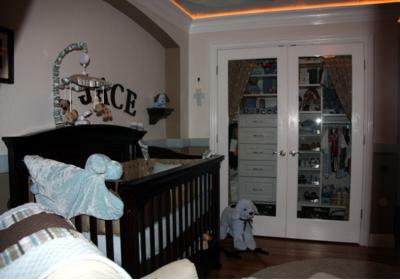 It makes the room very unique and the nursery so cozy through those middle of the night feedings and changings. 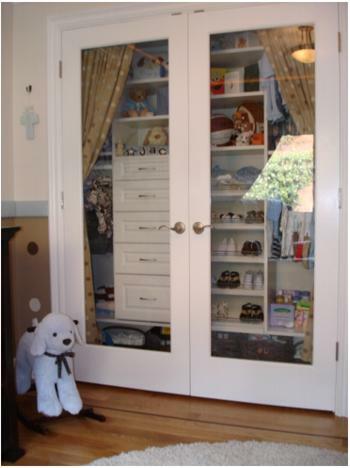 The glass closet doors idea was mine because baby stuff is so adorable and I enjoy looking at all the clothes so much I thought why put them behind closed doors? I wanted to be able to see them 24/7. I am also an organized neat freak so our lifestyle enables us to be able to have glass doors and have it look clean and beautiful. Not what typical closets look like behind closed doors! Every corner is detailed. One piece of advice - make sure when you choose you’re bedding that the company offers all the patterns in that bedding by the yard. 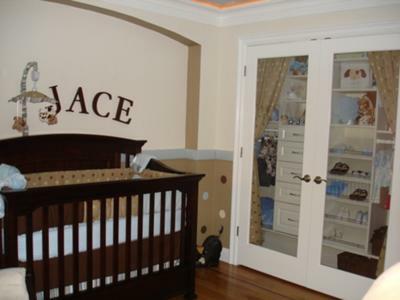 This will allow you to create an amazing room, tailored just for your baby! Very cute! where did you get the bedding from?? This is a cool room!!! Love the closet doors! Very nice idea. I love it!!! So cool!! I love looking at all the little baby things too - they're just too adorable to pack in a drawer! 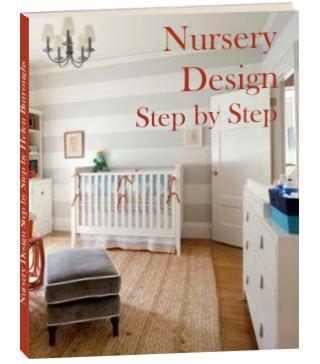 Well done on the nursery. It looks great!